The minister in charge of labor & Social affairs is to nominate fact finding mission who will be tasked to ascertain if 20 street children who were convicted by regional court in Hargeisa are juveniles. 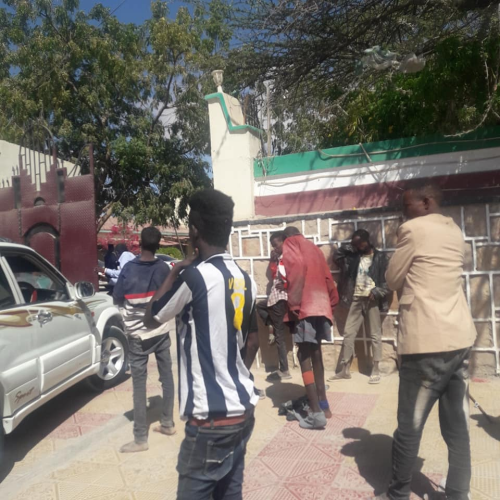 The reason for apprehending the vulnerable homeless and street children who are languishing in Hargeisa staged peaceful demonstration against the ministry of social affairs and labor for neglect and lack of support. The minister, Ms. Hinda Jama Hirsi while speaking at a function stated that there were not injustices done to the youngsters and added that the convicted street children will be probed by a commission who will decide about their case. The 20 children were arrested by police after taking out to the streets outside the ministry of labor premises. They are still in jail.